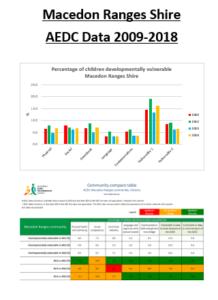 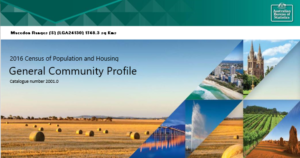 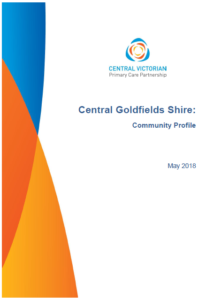 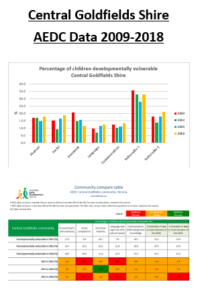 Central Vic PCP staff have updated the Community Health & Wellbeing Profile and created a new-look document. 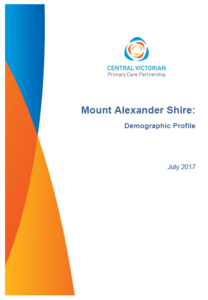 This has been developed to provide information and statistics about the health and wellbeing of our region’s residents. 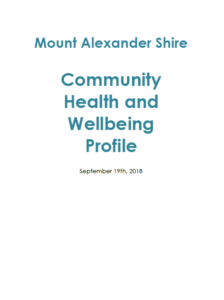 Members can use the information as a resource in the planning of health priorities, to assist in submission writing, to gauge the development and success of long-term health promotion projects, and to lobby Governments for funding to improve health outcomes for our community. 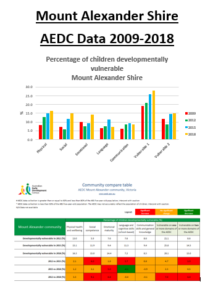 The AEDC domains have been shown to predict later health, wellbeing and academic success.